You are currently browsing the archives for the Searching for MIAs in Vietnam category. THE PROCESS: Recovery teams search for human remains, life support items, and other material evidence (personal and military issued items) that may lead to the identification of Americans missing from past U.S. conflicts. Investigation teams authenticate leads from eyewitnesses, conduct field research, and gather information throughout the various locations to determine whether or not there will be a return visit for excavation at a later date. 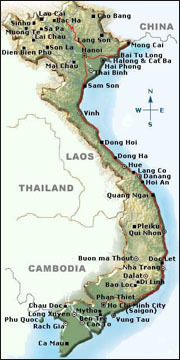 THE PEOPLE: Approximately 75 JPAC team members excavated multiple sites [Nov. 2011] associated with Vietnam War losses. Five recovery teams searched in the Thai Nguyen, Bac Giang, Lang Son, Son La, and Thanh Hoa provinces at aircraft crash and burial sites for six Americans. Two investigation teams authenticated eyewitness leads and conducted field research, searching for information on more than 50 missing individuals and 31 unsolved cases. Lastly, a scientific team conducted a Joint Forensic Review to determine racial affiliation of remains in country. 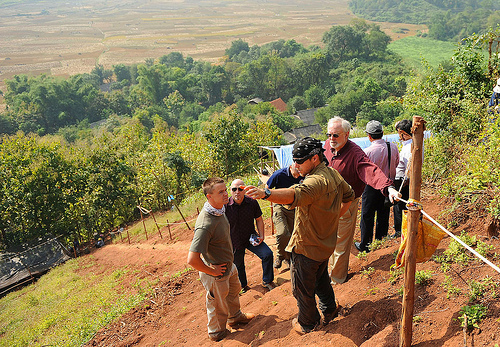 The approximately 35-day undertaking marked the 105th Joint Field Activity in Vietnam. *Content and Photos Credited to JPAC. Ron Ward, JPACs Casualty Resolution Specialist in Hanoi at Detachment II, says the new Vietnam Recovery Teams will allow JPAC to speed up recovery efforts in Vietnam, primarily in FY2012. But as always, funding will determine how many VRTs will be working in the field. JPAC is preparing to ramp up efforts in search of our Marines and soldiers left behind in the Vietnam War. Some might say, so what else is new? Actually this is a big development in the world of MIA recoveries, considering that many of us with family members still unaccounted for in Vietnam thought we might be in trouble – translation: Facing a battle, not a win, waiting to hear if U.S. Government officials would approve JPACs request for additional funding in its FY2012 budget to meet expanded global commitments. The Nat’l League of POW/MIA Families and many other groups fought hard to keep Vietnam on the schedule, since efforts were being increasingly diverted to WWII and Korean War locations. It appears that those pleas were heard, and JPAC will get the necessary funding to keep working in Southeast Asia. But the scope of the job necessitated that JPAC get creative with recovery efforts in Vietnam, where the work has always been difficult and the results less spectacular for a variety of reasons, many of which have been beyond JPACs control. Moving forward, the Vietnamese will take more of a lead role in performing excavations, according to JPACs Commander, Maj Gen Stephen Tom, USAR, who spoke recently at the annual Family League meeting in D.C. about Vietnam’s record of success in recent years with unilateral excavations. 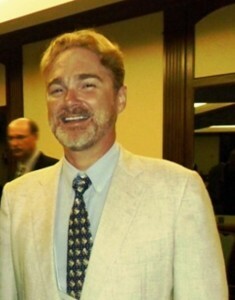 Dr. Robert Mann, Director of JPACs Forensic Academy, began training the Vietnamese several years ago in basic archaeological techniques, and the Vietnamese proved to be good students. This gave JPAC confidence that they were ready to take the next step, which led to the creation of the Vietnam Recovery Team (VRT) model. The name is a little misleading, since the teams will not be composed totally of Vietnamese, but rather include one of JPACs anthropologists, a medic, linguist and other specialists, such as an explosive ordnance disposal technician, if needed.